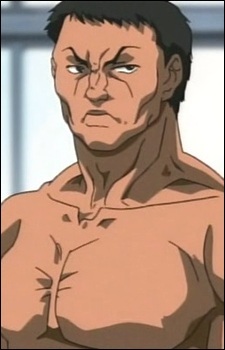 The first opponent to ever soundly defeat Baki. He was a Welterweight Boxing Champion moving up to Heavyweight. He was injured by Hanayama, due to his impatience to fight Baki. As a result, his arm was broken and could not compete in boxing again. However, his will enables him to fight anyway. He holds no grudge against Hanayama for what he has done and understands why Hanayama did what he did. He is cheered on by his little sister, Nina.